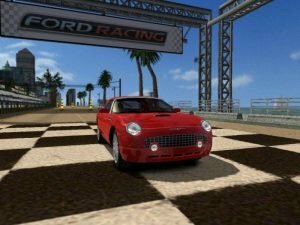 The number of Ford-branded machinery on display in Ford Racing 2 seems to suggest an apex for product placement in games. 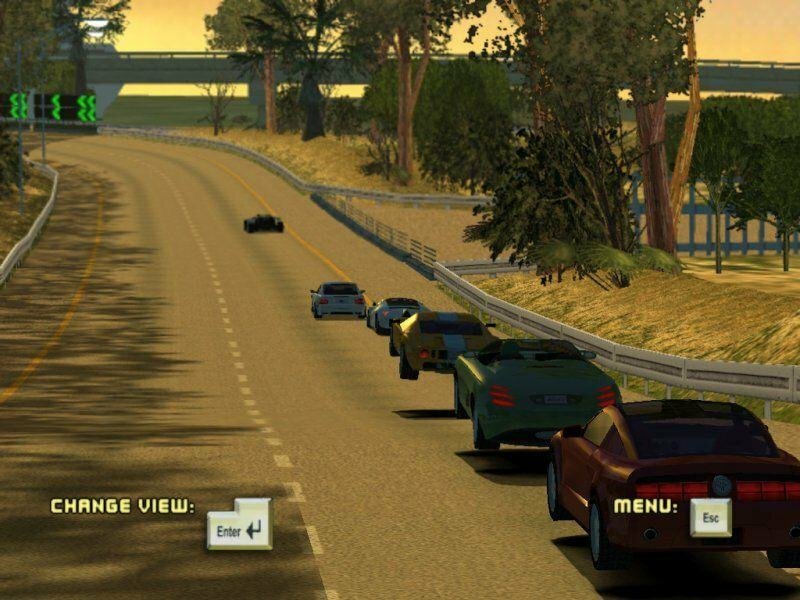 A racing game from Empire Interactive and UK-based Razorworks, this sequel to Empire’s 2001 game touts three dozen of the manufacturer’s more celebrated sedans, sports cars, muscle machines, SUVs, and even pick-up trucks from the past 50 years. For a single-manufacturer driving game, Ford Racing 2 deals out some unexpected variety. 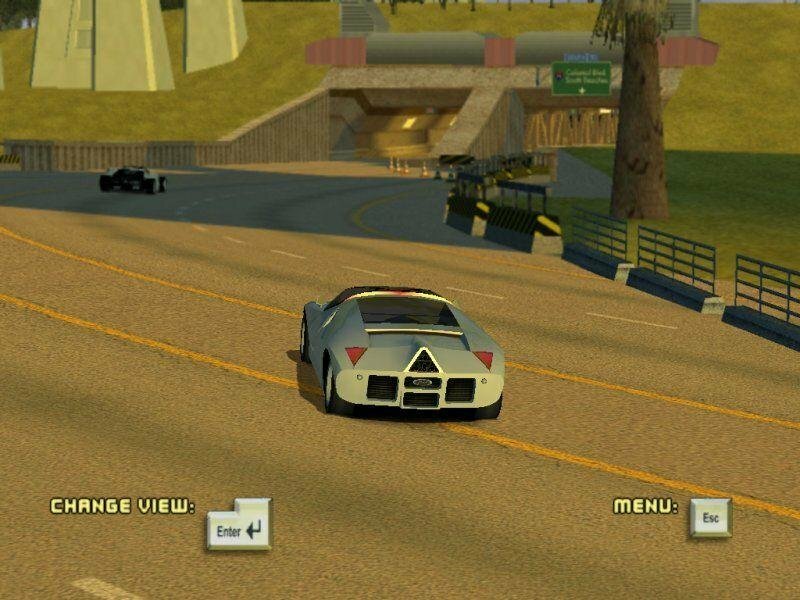 All 35 of the represented vehicles, which range from a ’49 Ford Coupe to a 2003 Mustang GT Concept car, receive detailed, high-polygon graphics treatments to faithfully simulate their real-life counterparts. 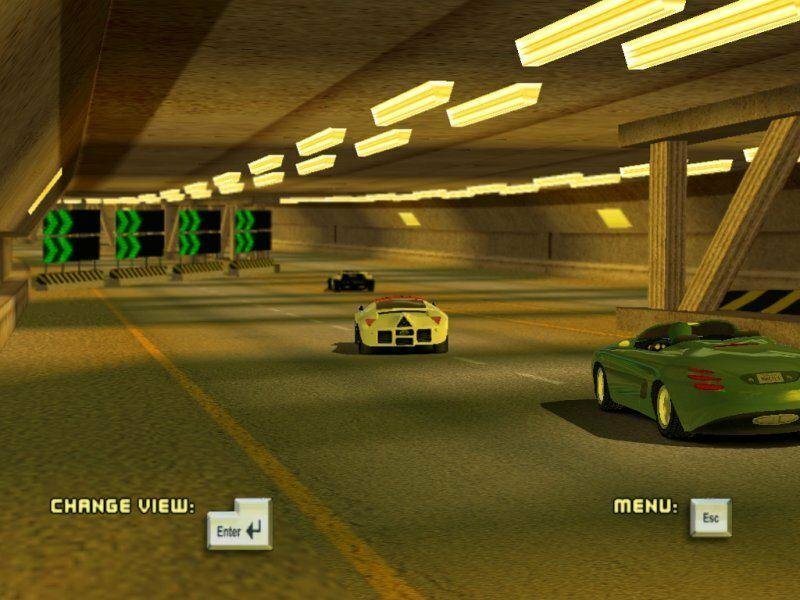 Many of the game’s varied track environments are on par with those in A-list arcade racers. 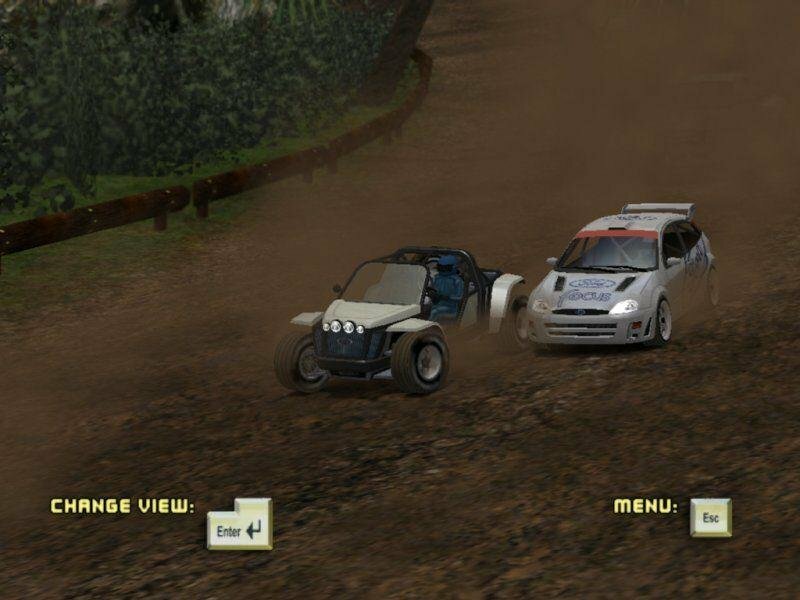 You’ll find a mix of urban streets, serpentine road courses, high-speed ovals, and even some off-road locales. 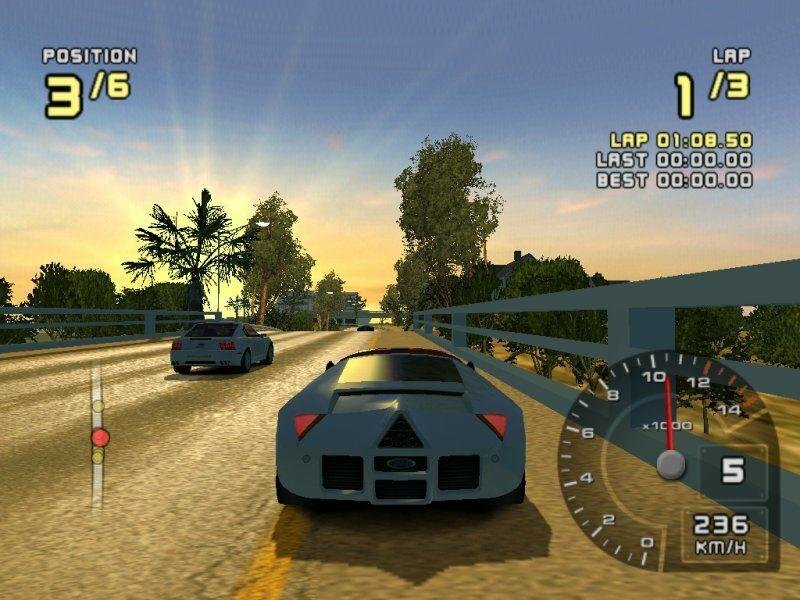 The game’s arcade roots are reinforced by a mouseless interface, a bare-bones split-screen option, and an unlock-as-you go premise. 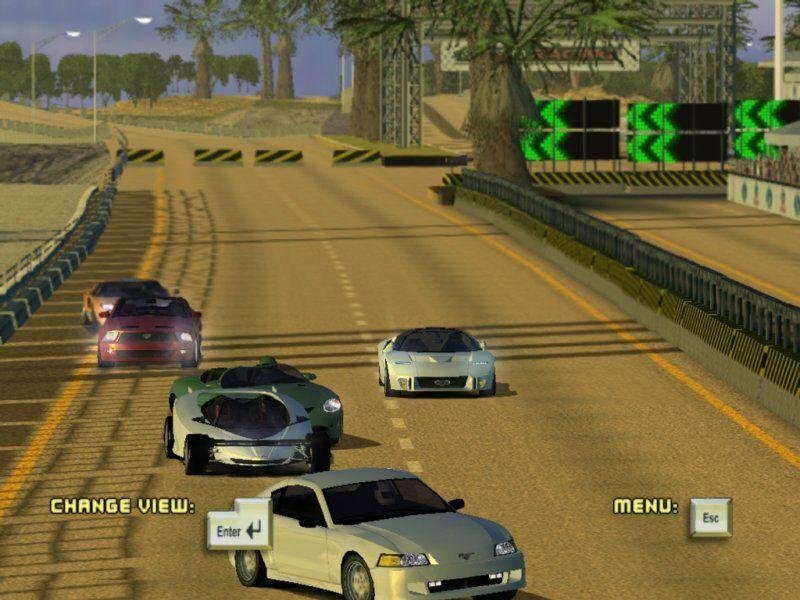 (The roots show again in the simplified, gamepad-friendly physics, which make every one of these Fords handle like an earthbound jet fighter.) And the absence of any damage modeling is disappointing. 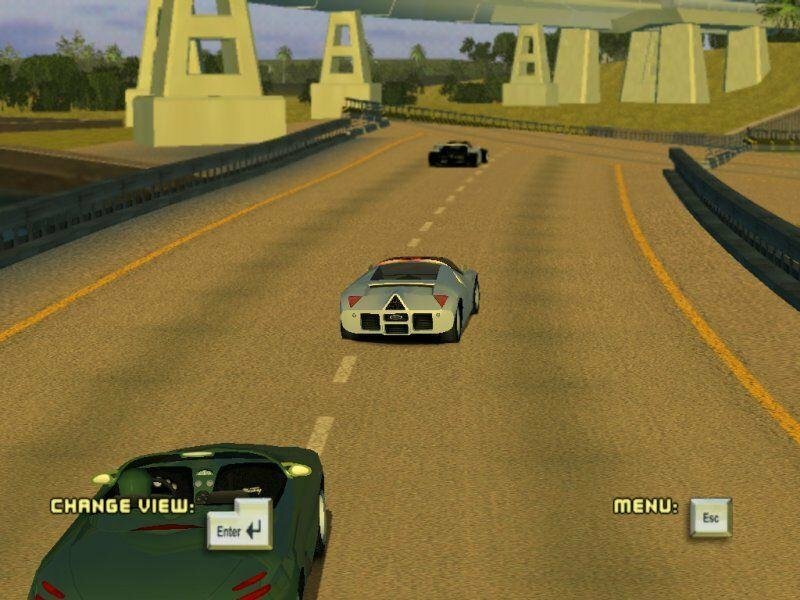 Would you please add the third game, Ford Racing 3, to your website?